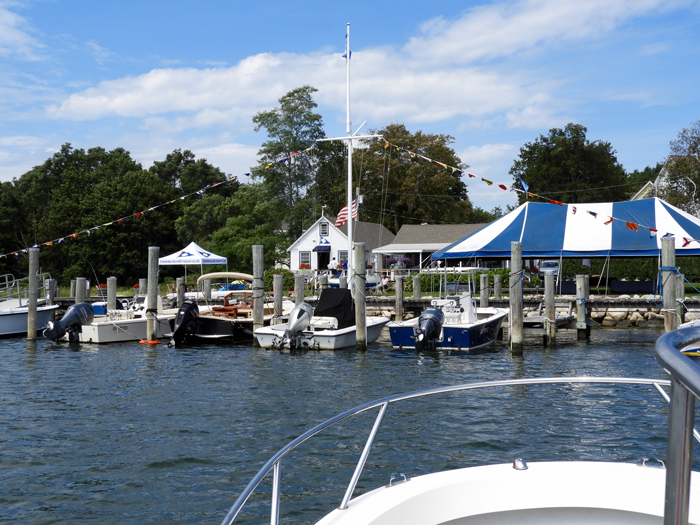 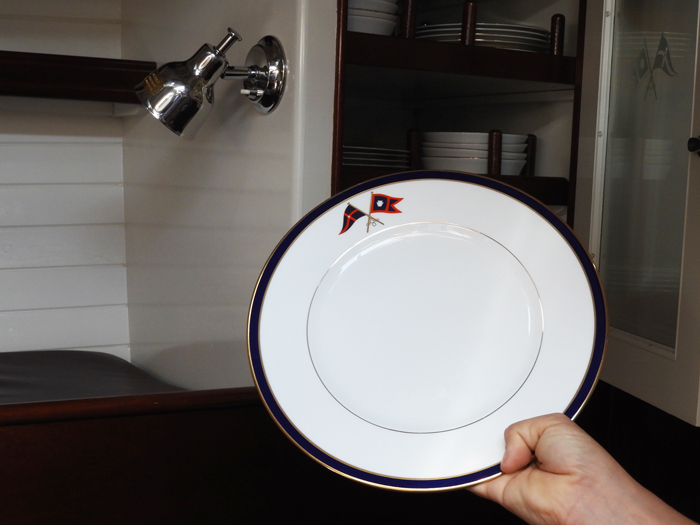 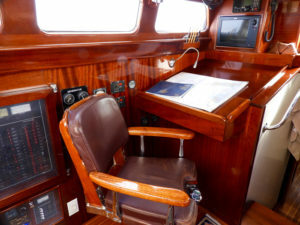 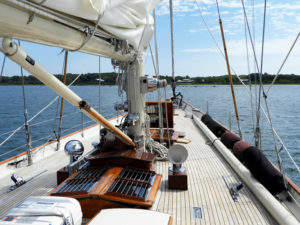 If former Fishers Island Yacht Club (FIYC) Commodore John Nicholas Brown and his Captain Fred Lawton could see their cherished “comfortable cruising boat with a turn of speed”¹, they would be extremely pleased. 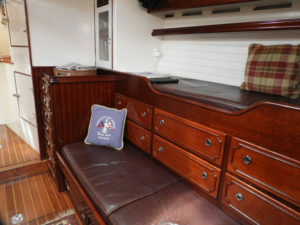 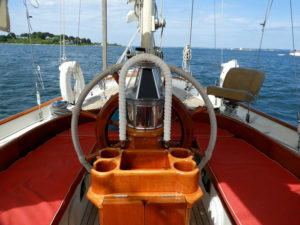 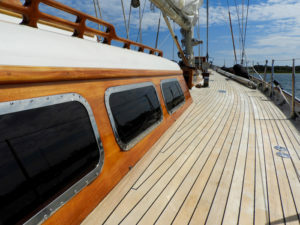 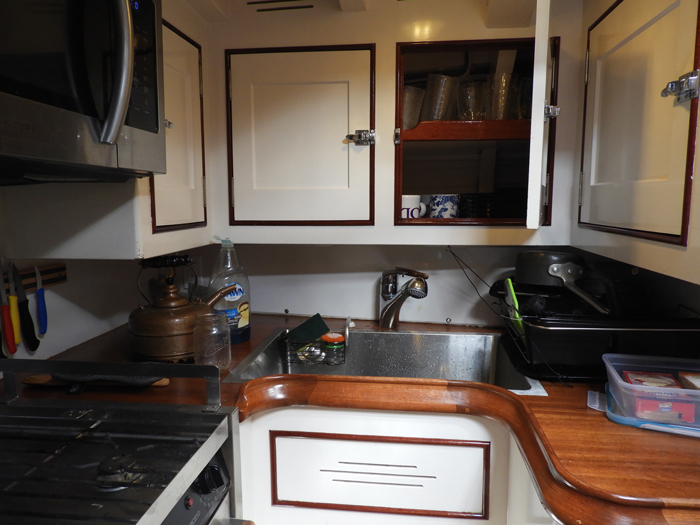 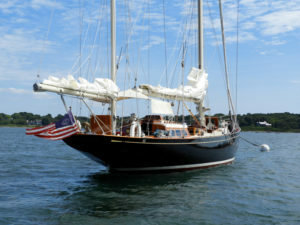 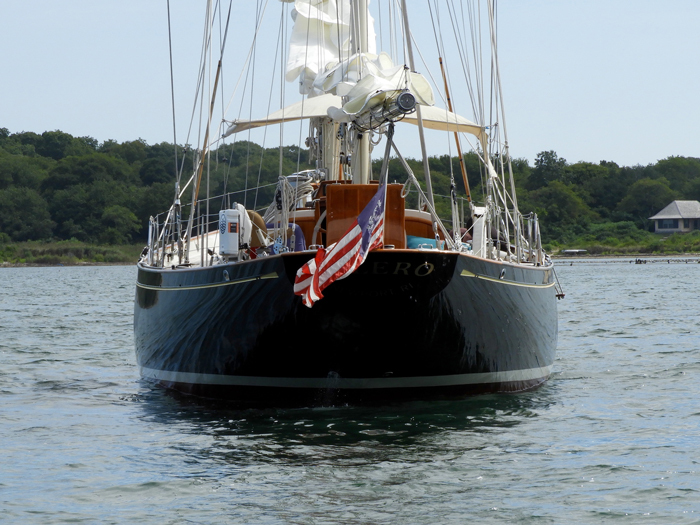 Bolero returned to West Harbor in August 2018 during a Long Island Sound cruise with owners Ed Kane and Marty Wallace who have painstakingly restored her to her original glory – cedar decks and all. 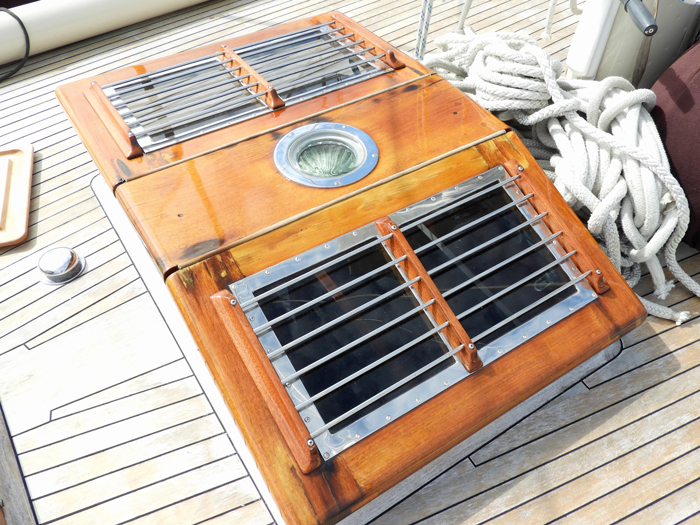 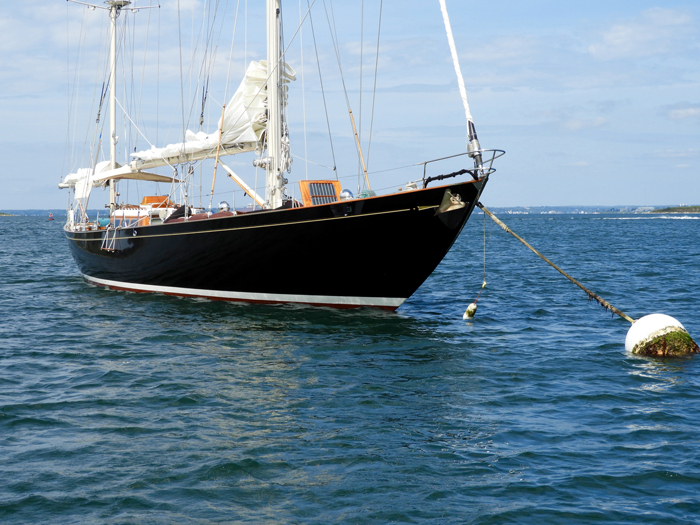 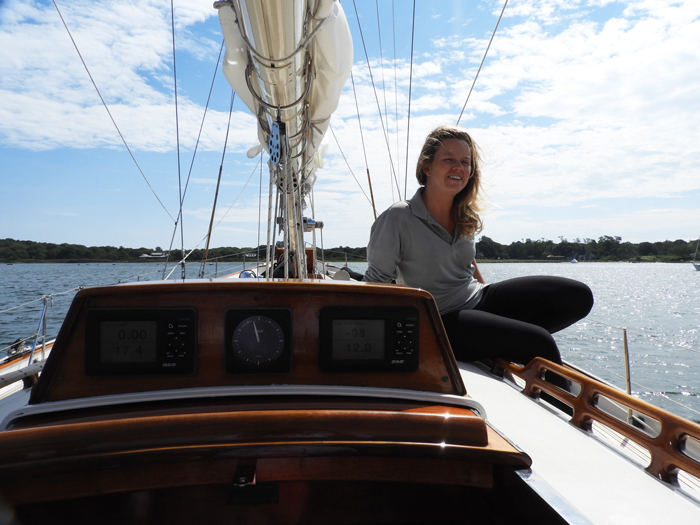 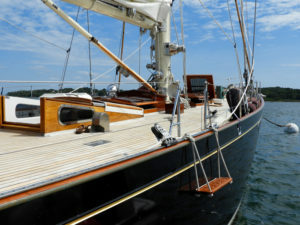 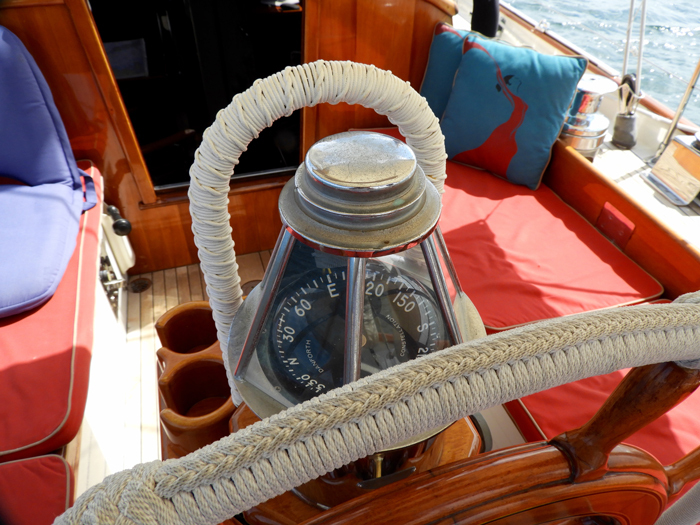 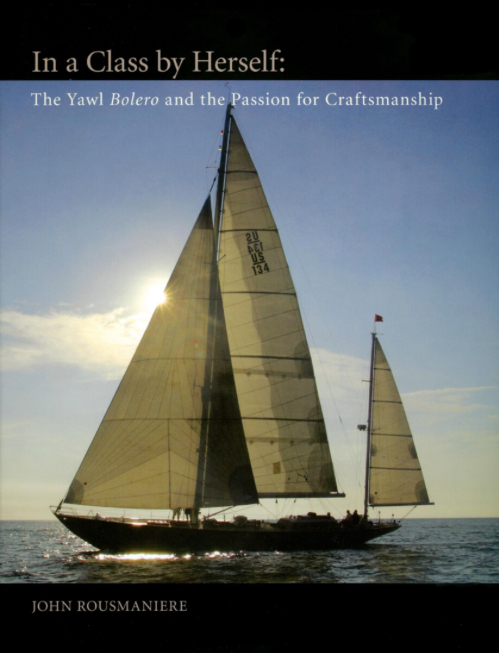 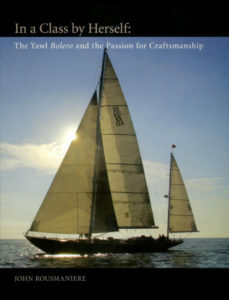 This 73′ racing yawl has a marvelous history and a promising future. Designed in 1947 by Olin Stephens of Sparkman & Stephens for John Nicholas Brown (who was undersecretary of the US Navy from 1946 to 1949) and built by Henry S. Nevins in City Island, NY, she was launched in 1949. 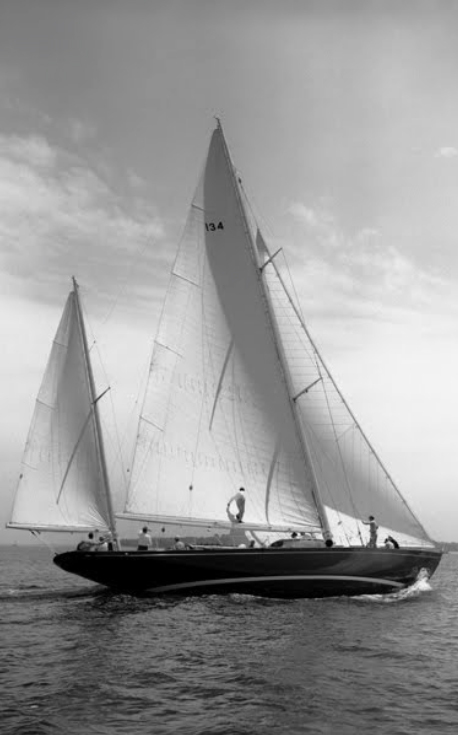 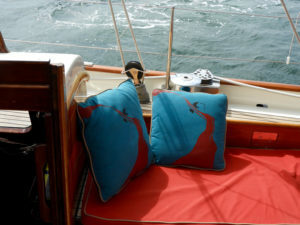 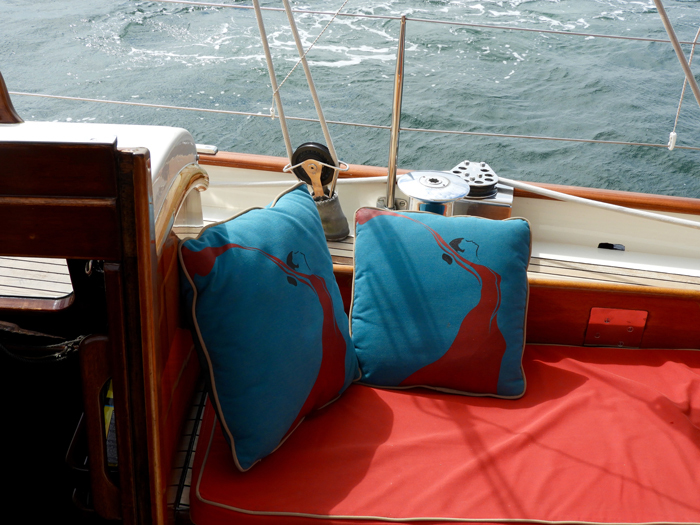 Bolero immediately set the pace for numerous trophies including the 1950, 1954 and 1956 Newport Bermuda Race. 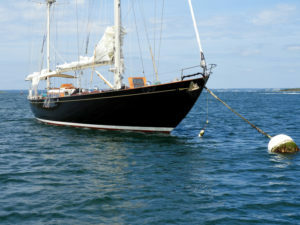 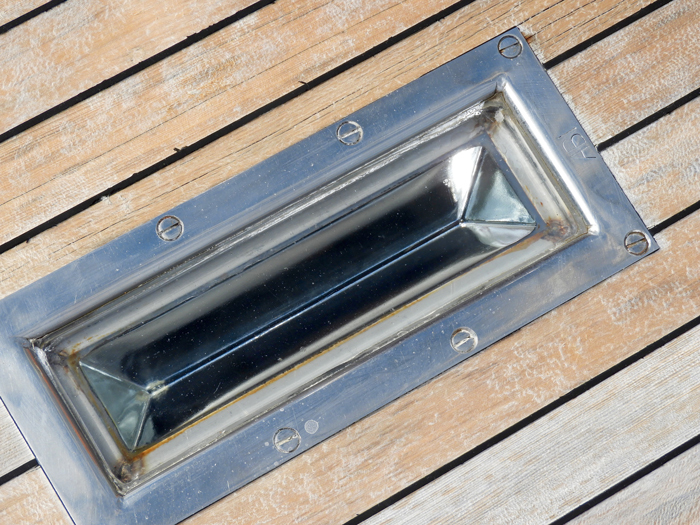 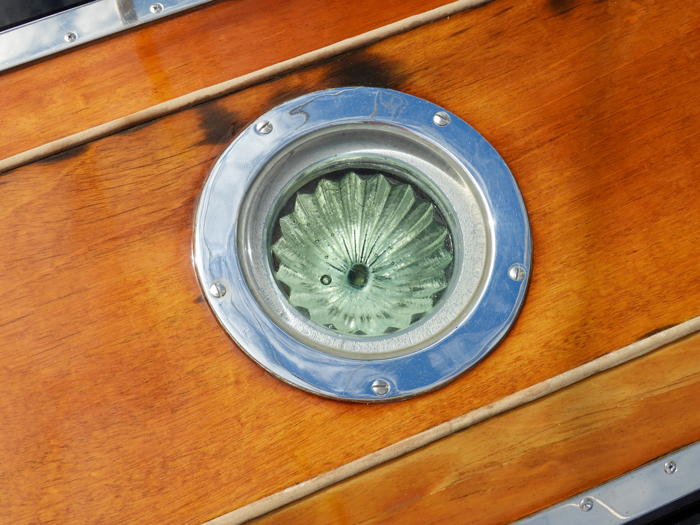 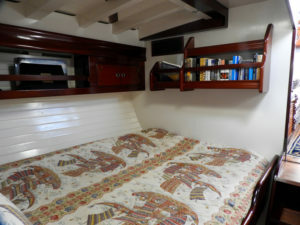 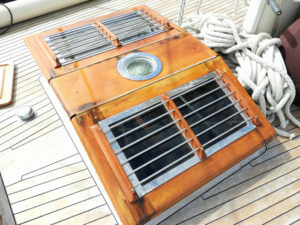 Several owners later, Bolero was found in 1989 by Gunter Sunkler in the weeds of a canal in Fort Lauderdale. 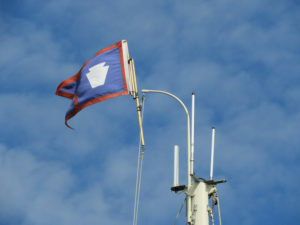 Sunkler took three years to find all the pieces that had been taken from the boat including masts, booms, sails and more ². 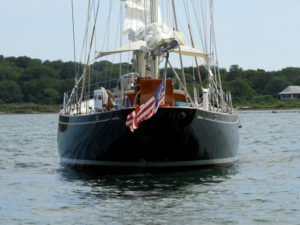 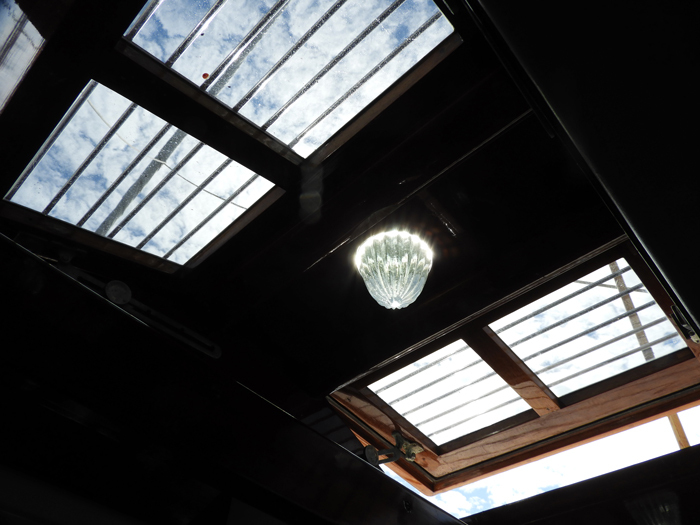 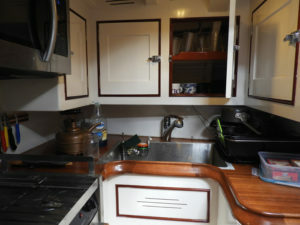 She was restored by 1995 and recommissioned in 1996. 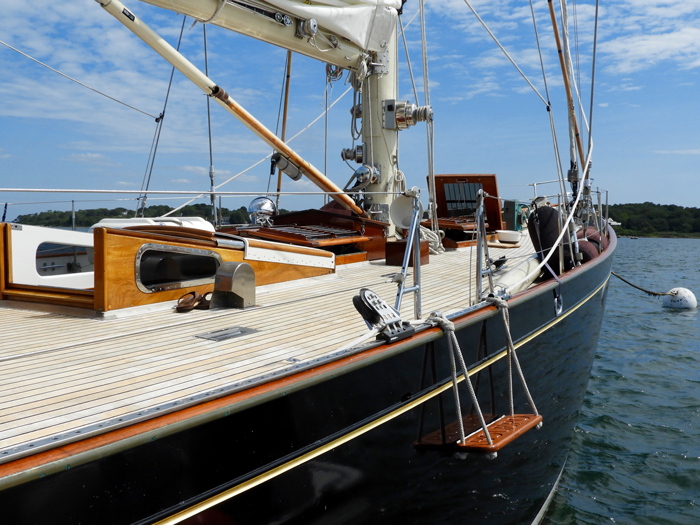 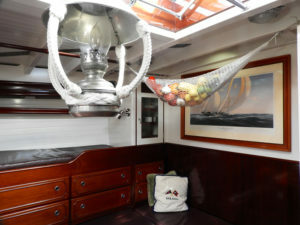 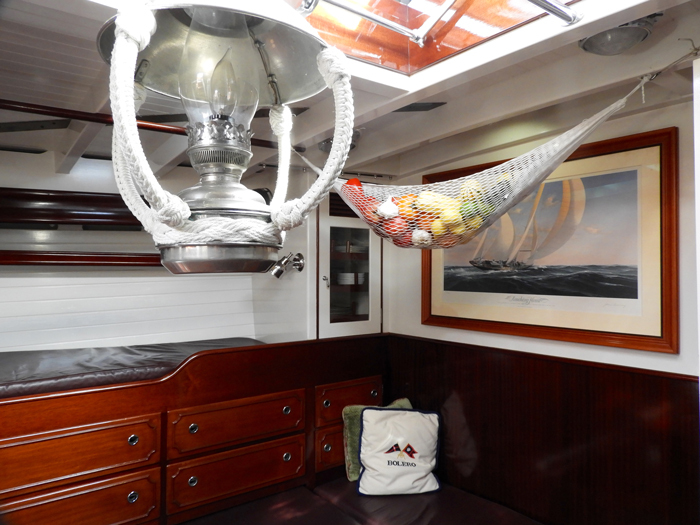 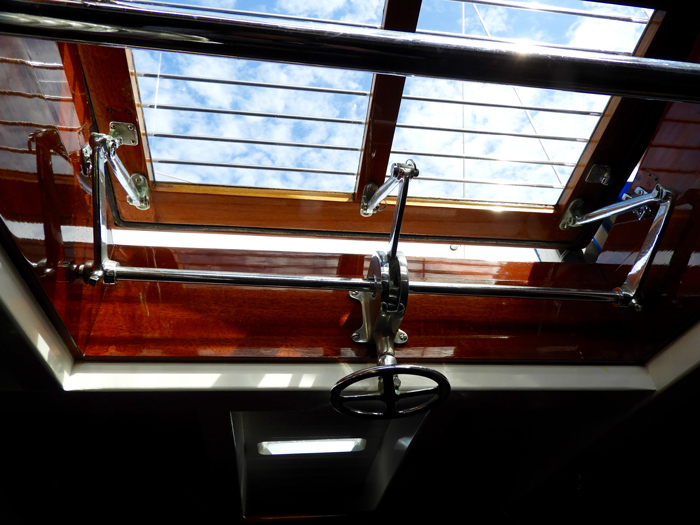 The Ageless Beauty of Bolero The latest refit of Olin Stephens’ classic yawl promises many more years of life for this yachting icon. 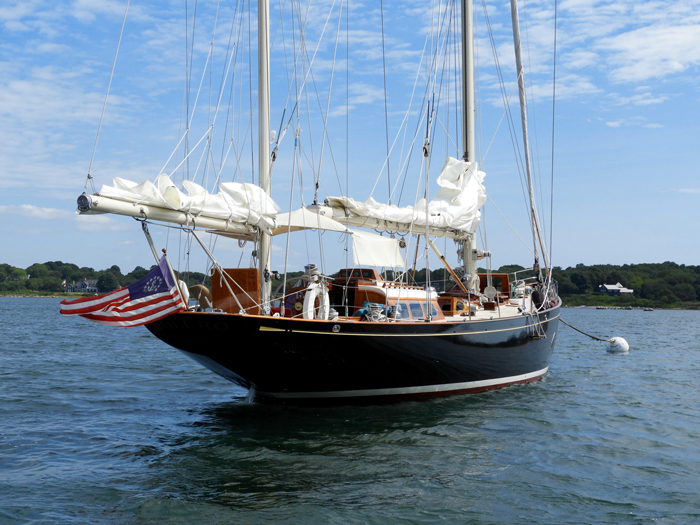 At Mystic Seaport’s 2017 Antique & Classic Boat Rendezvous Ed Kane and Marty Wallace received a special citation for commitment to classic yacht restoration. 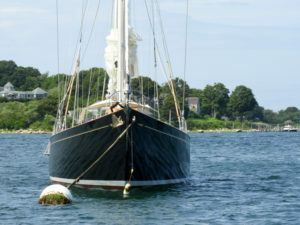 Although the Brown family was grounded in Rhode Island, they spent most summers on Fishers Island as John Nicholas Brown’s wife Anne Kinsolving had her family ties here. They bought land looking over the north end of West Harbor and built their modern house Windshield, designed by architect Richard Neutra in 1938. 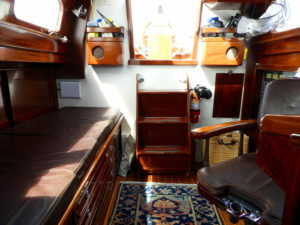 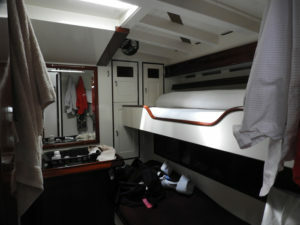 Many thanks to Captain Casey Fasciano who helped arrange and to 1st mate Barbara Krasinski and who was so nice to give us a welcoming tour, with last minute notice, one morning in late summer. 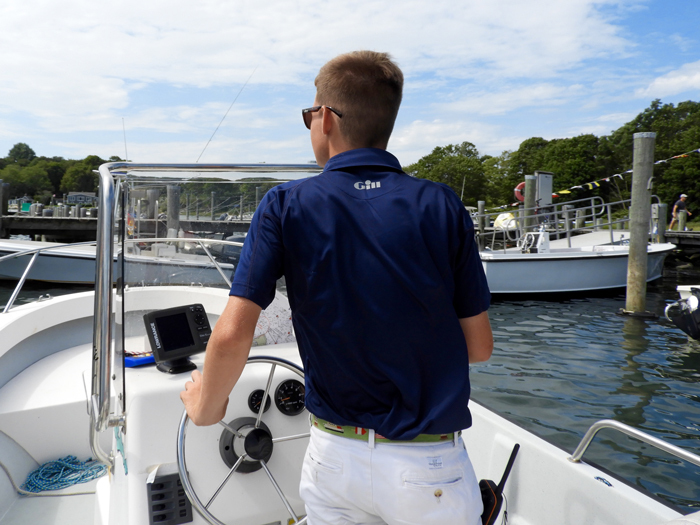 Thank you to FIYC’s Ian Crary for masterfully steering the launch to the Bolero’s mooring in the harbor and patiently maneuvered along side… while I not so gracefully climbed aboard.